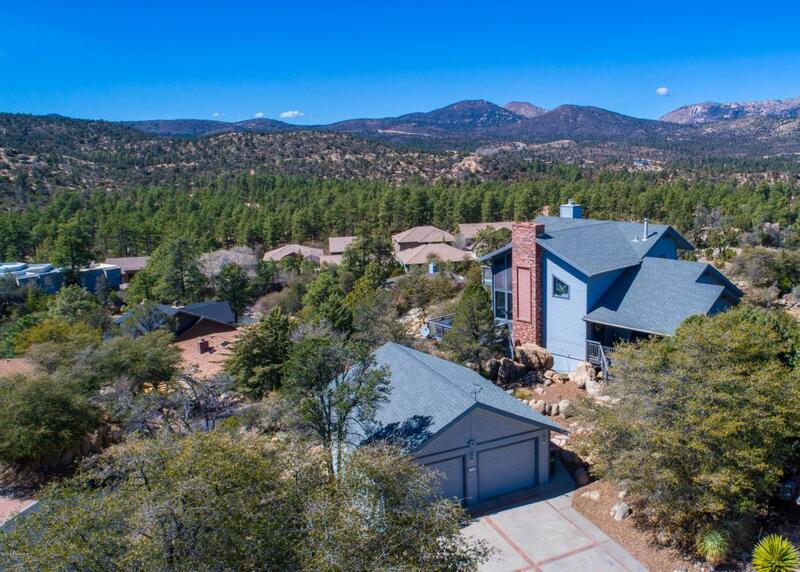 You couldn't ask for better views of Thumb Butte, Granite Mountain, and even the San Francisco Peaks from this beautiful 3bd 2.5ba home in Forest Trails! 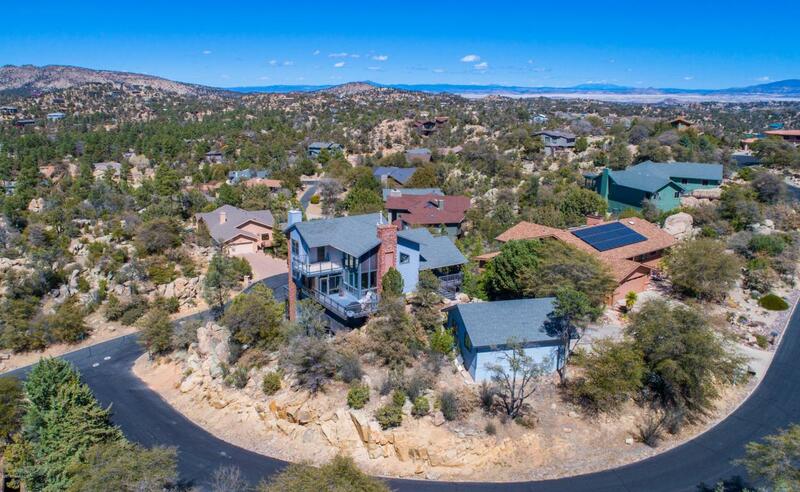 This 2,600+ sq ft home is nestled among natural boulders on top of a hill perfectly positioned to enjoy the views from its many windows, the Arizona room, or the multiple decks. Warm up next to one of 3 fireplaces strategically positioned in the home to create a warm and inviting atmosphere further enhanced by the wood flooring and vaulted wood paneled ceiling in the great room. The remodeled kitchen boasts of new cabinetry, granite countertops and stainless steel appliances. Listing provided courtesy of Ryan Lowry of Keller Williams Northern Az.